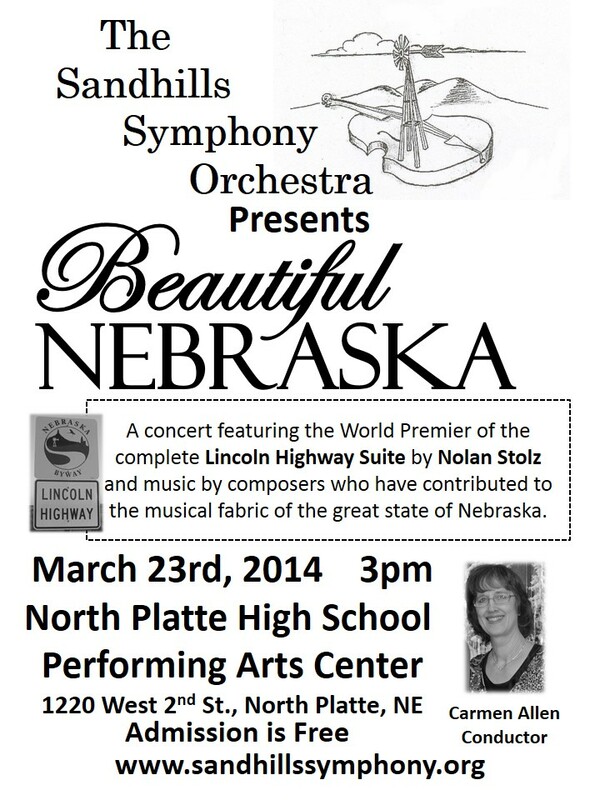 Bringing great music to North Platte and central Nebraska! 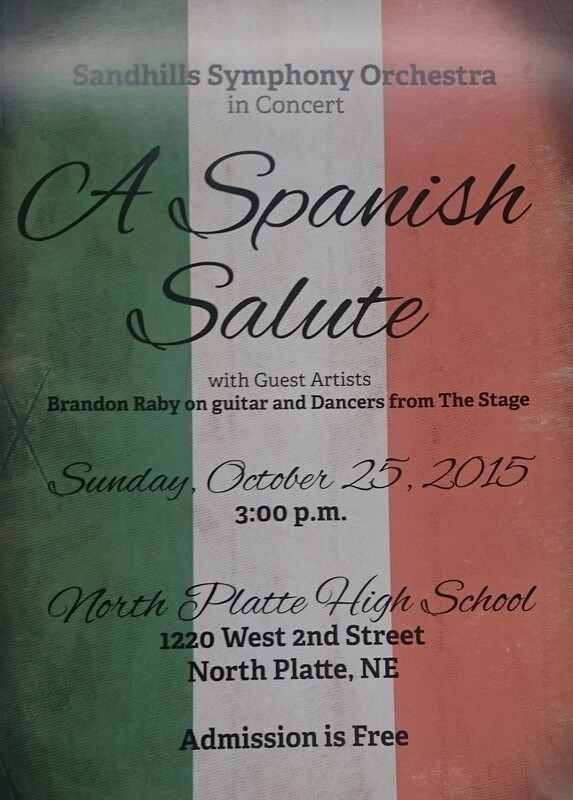 We are pleased to announce our 2015 Fall Concert, A Spanish Salute. 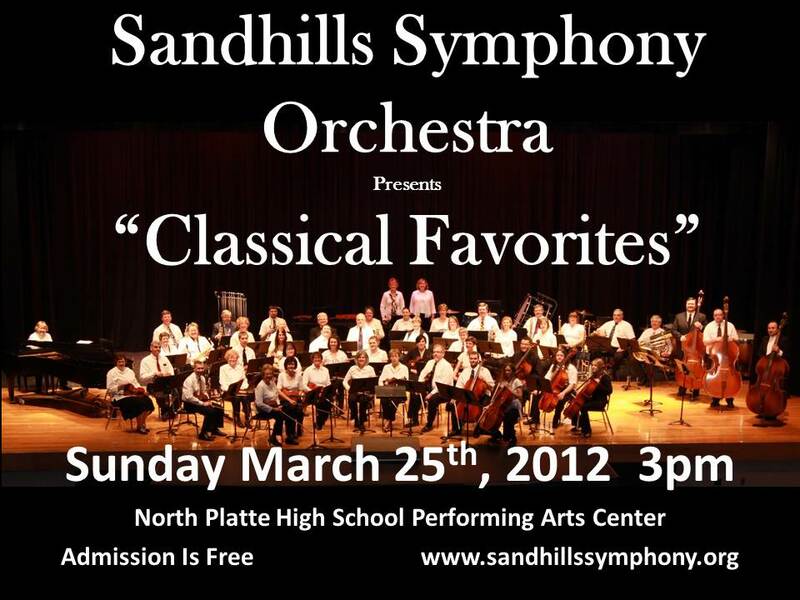 The concert will feature music with Spanish composers or influences. Spotlighted will be guest performers Brandon Raby on Guitar and dancers from The Stage dance studio. 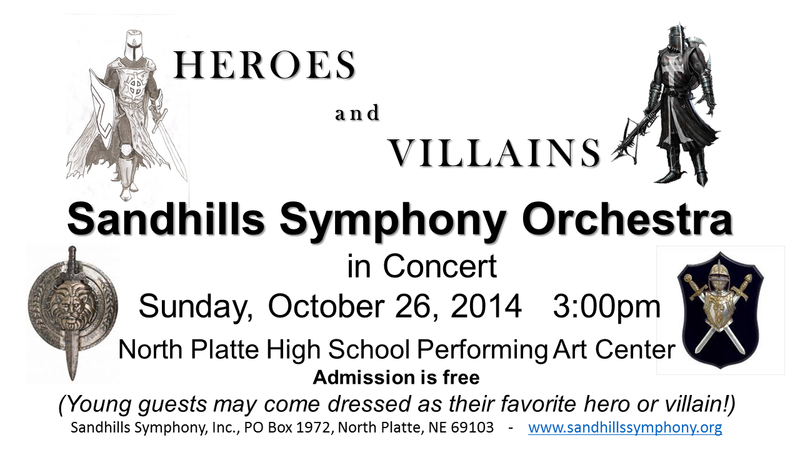 Heroes and Villians concert set for October 26th. 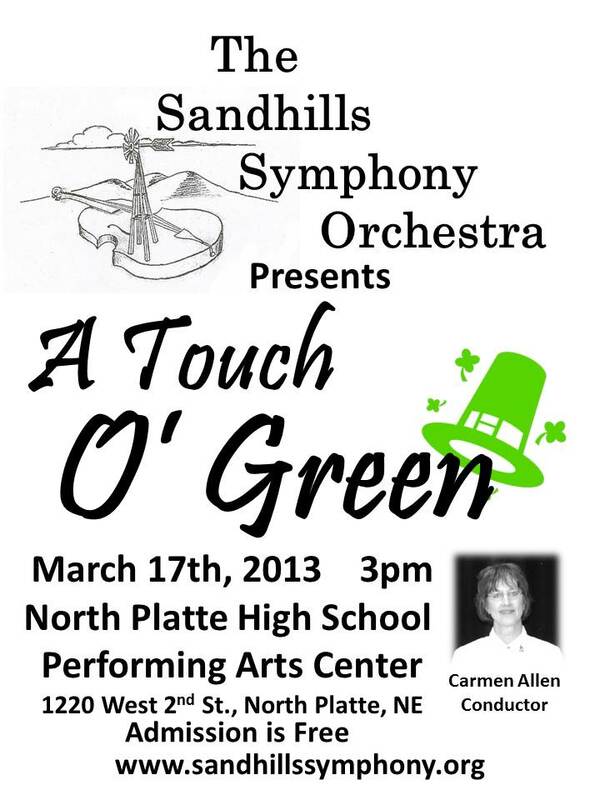 For More information about this concert, please contact Carmen Allen at 308-520-2755. 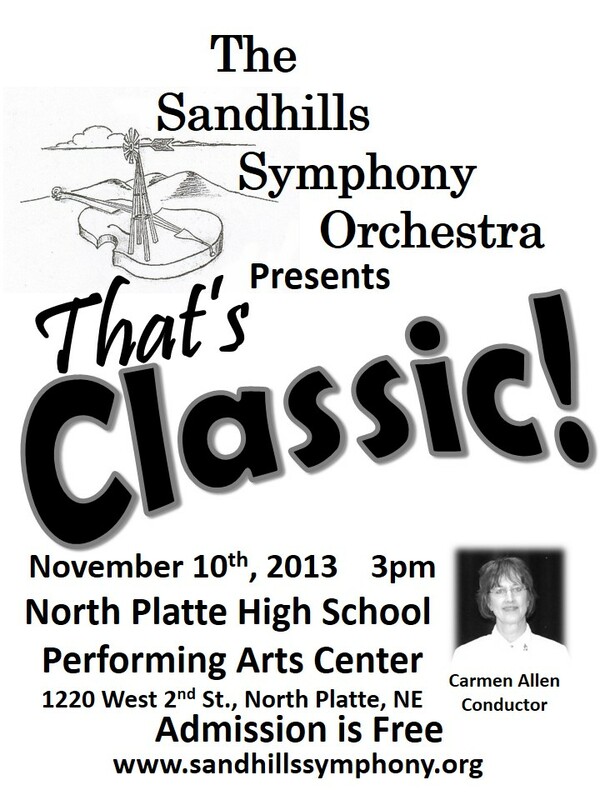 2013 Fall Concert – Novemeber 10th, 2013 – That’s Classic! 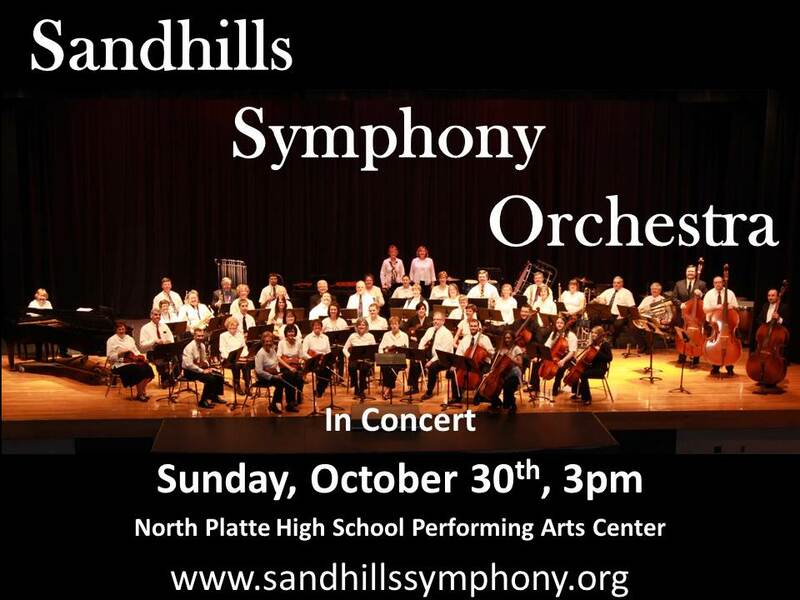 Symphony Rehearsals will begin on September 18th at 3pm at the North Platte High School. 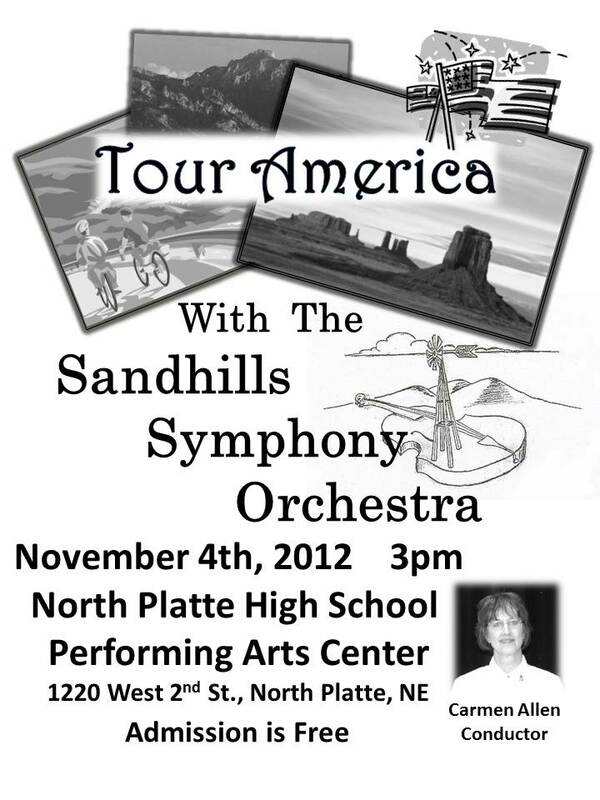 Please call Bryan Bohn at 308-440-0268 for more information or if you are interested in joining the Sandhills Symphony Orchestra. Our new season is almost here. Rehearsals will begin soon for the 2011 – 2012 season. 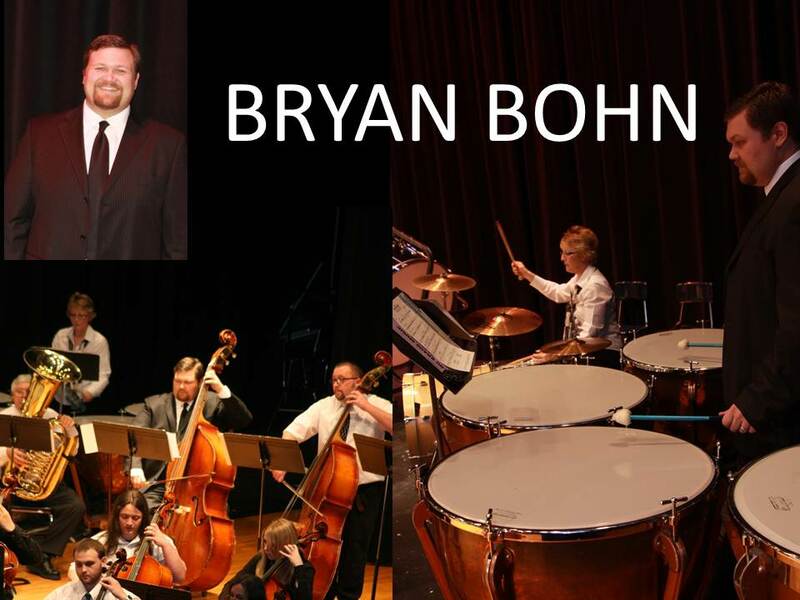 We welcome our new conductor Bryan Bohn to the podium and look forward to another great year of music-making in Central Nebraska. 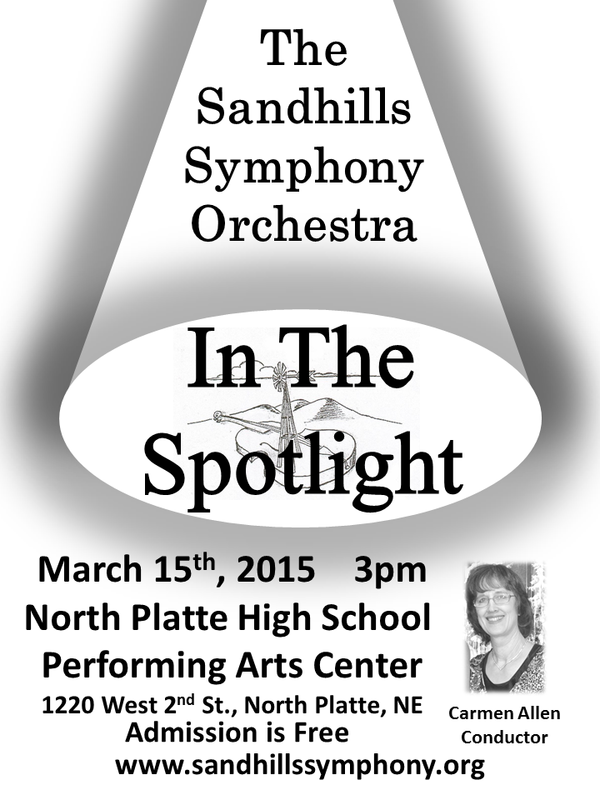 New members are welcome and are encouraged to call Bryan Bohn at 308-440-0268 about performing with us. Moving from among the ranks of the musicians to rise to become the leader of this musical powerhouse, Bryan has his work cut out for him. We are looking forward to working with him and hearing what kind of music we can make with him leading us.